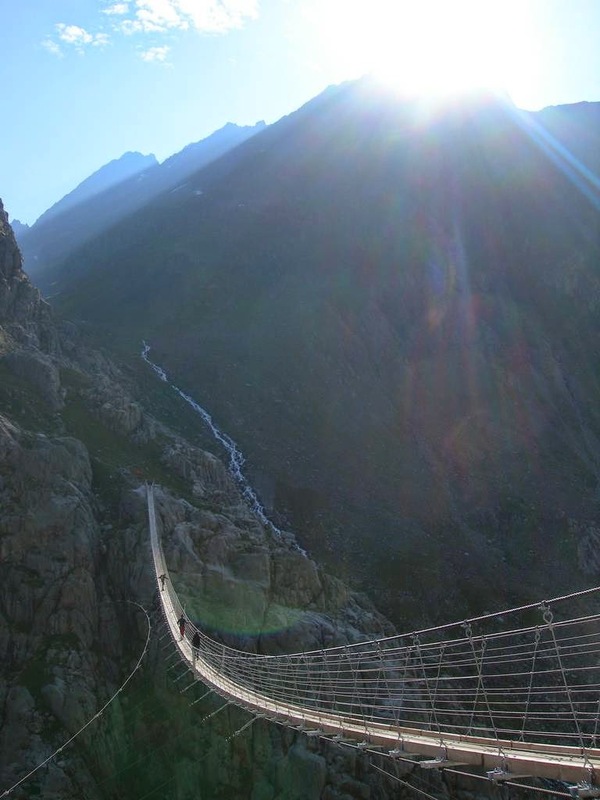 Climbers have to be fit and healthy to even reach Trift Bridge. Yet once they get there they must be in possession of other qualities. 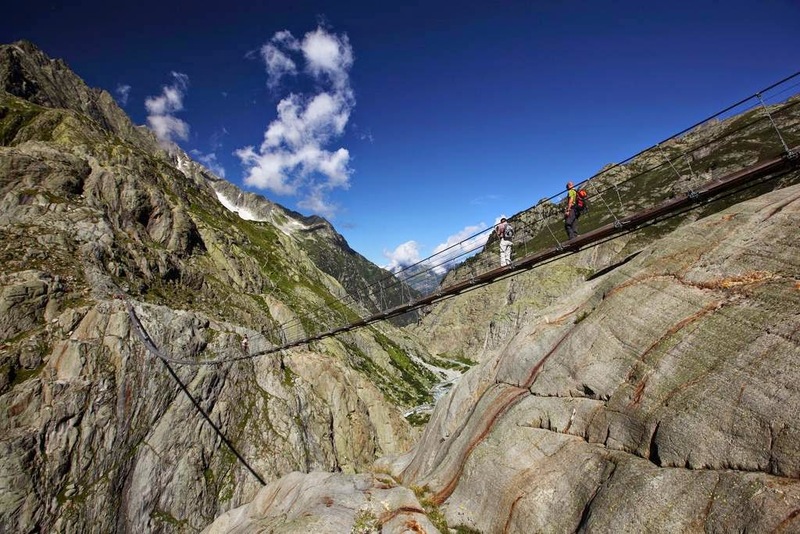 It is the longest pedestrian-only suspension bridge in the Swiss Alps and even the sight of it can render some people weak at the knees. 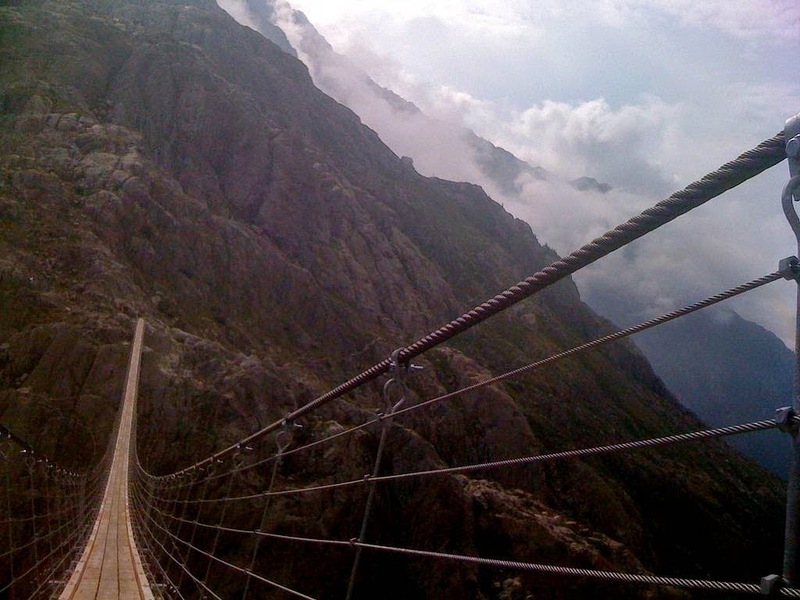 It is 330 feet (100 meters) above the floor of the valley and a staggering 560 (170 meters) in length. 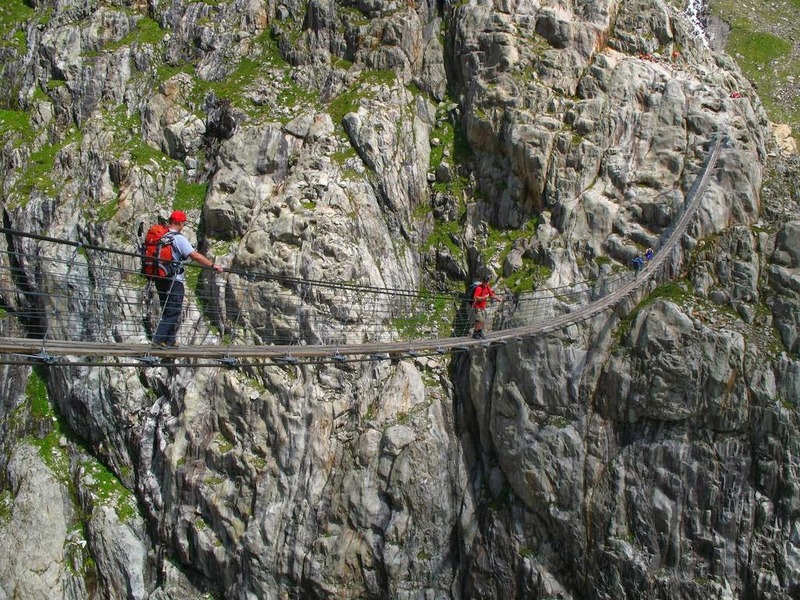 Climbing mountains is one thing: clambering across them on a skinny bridge with a yawning chasm below is another feat entirely. 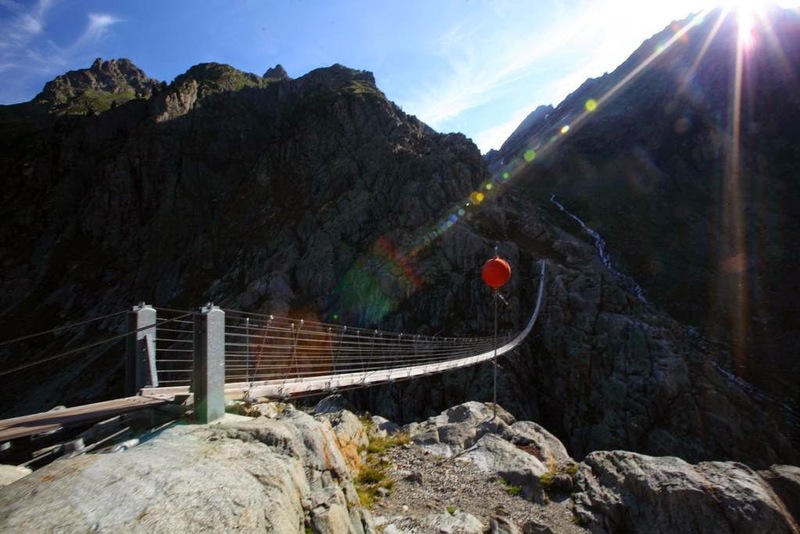 This is only the second bridge to be situated in this dazzlingly beautiful valley landscape. 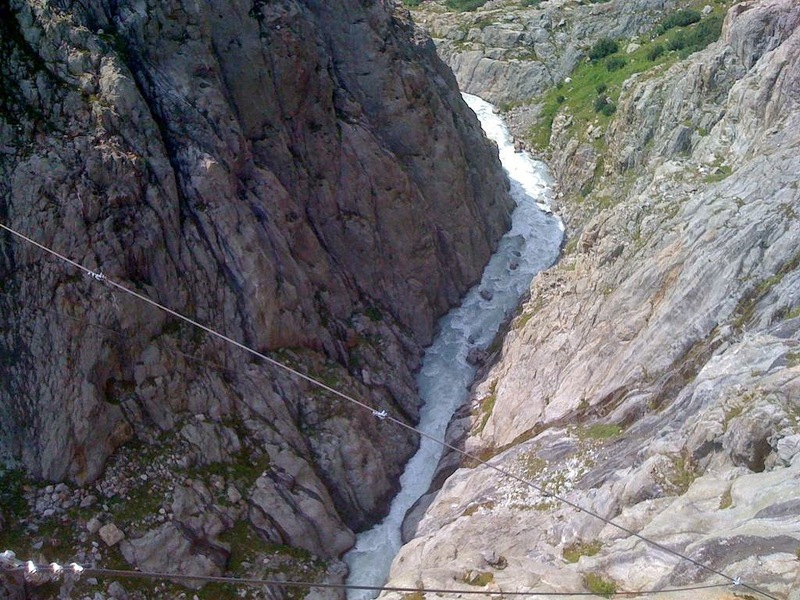 In 2004 an enormous hydroelectric plant was built below the Trift Glacier. The plant collected and controlled the run off from the glacier (yes, a whole plant just for the run off). 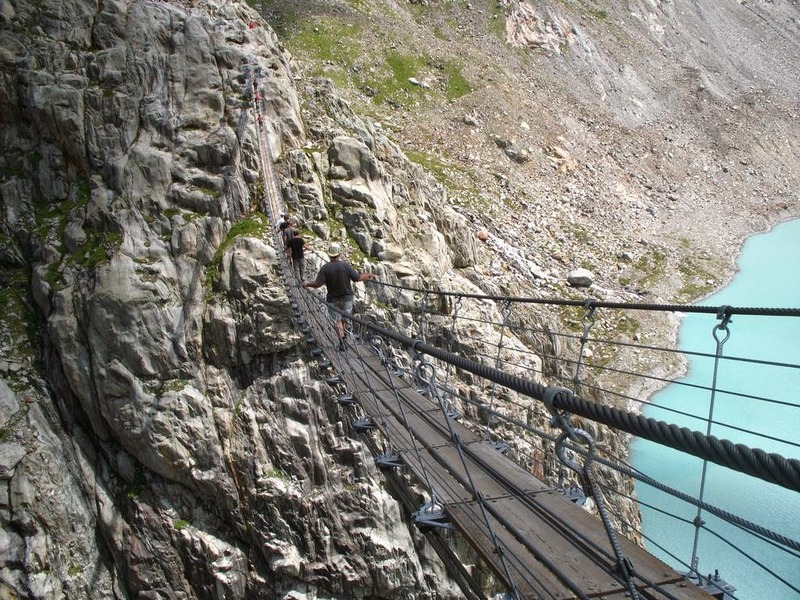 A bridge was needed to access the power plant below the glacier and so this precariously positioned structure was built. 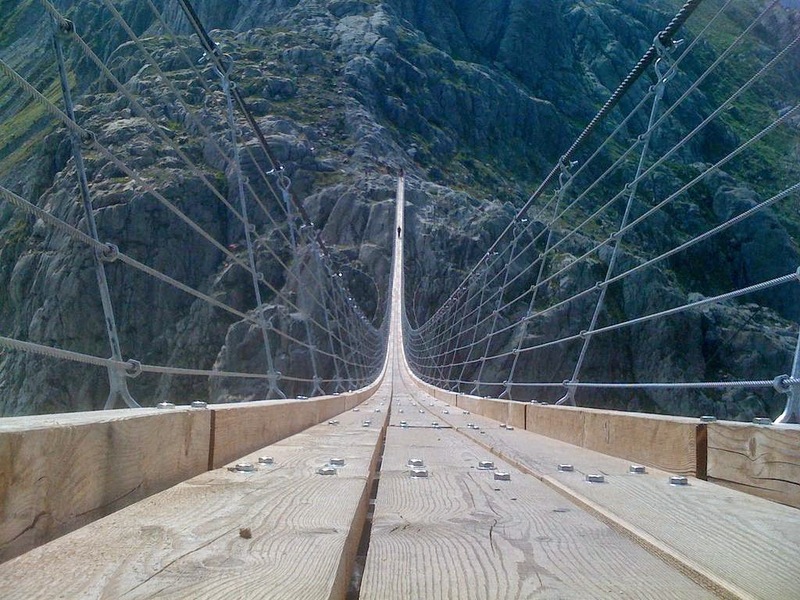 Inevitably, the bridge attracted people who wanted to cross it simply for the thrill, rather than for reasons of employment. However, in order for the site to be opened to the public the bridge had to be made sturdier. 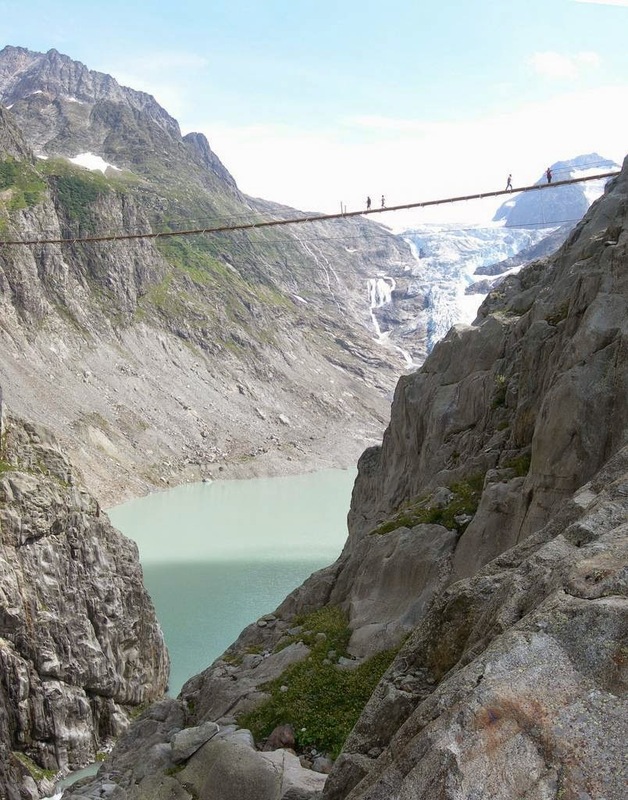 So it was decided to replace it altogether and the new bridge was opened in 2009.Although one might be tempted to call it a rope bridge, it isn’t. 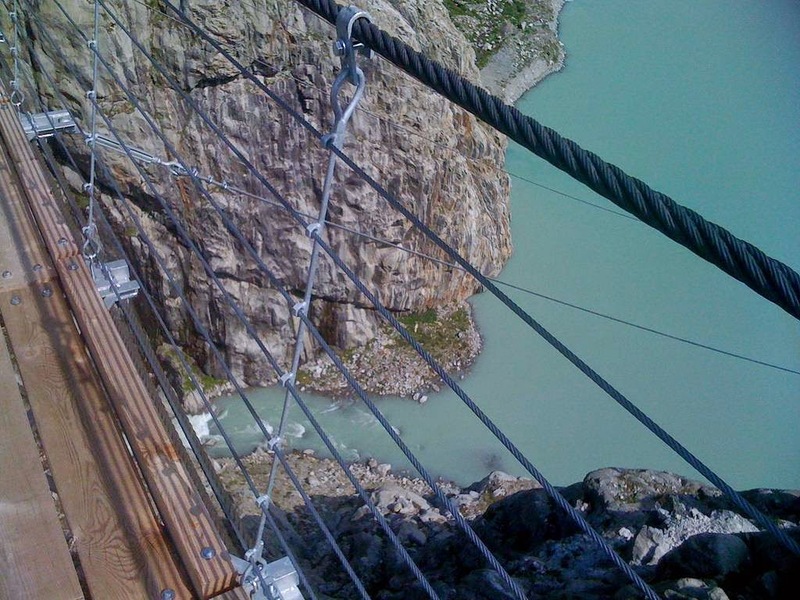 The cables which connect the sides of the valley and keep the bridge in place are made from reinforced steel. 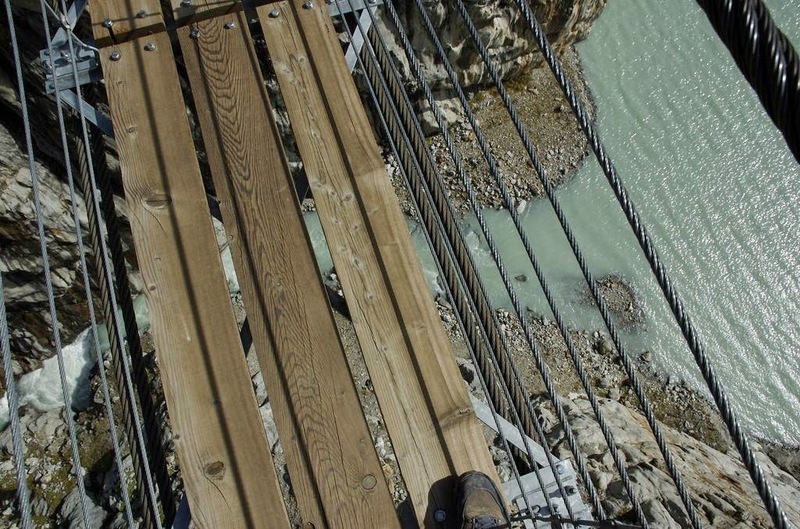 The walkway is, however, made from what you might expect – wood bolted down on to the frame with such force as to ensure that the bridge should never collapse. 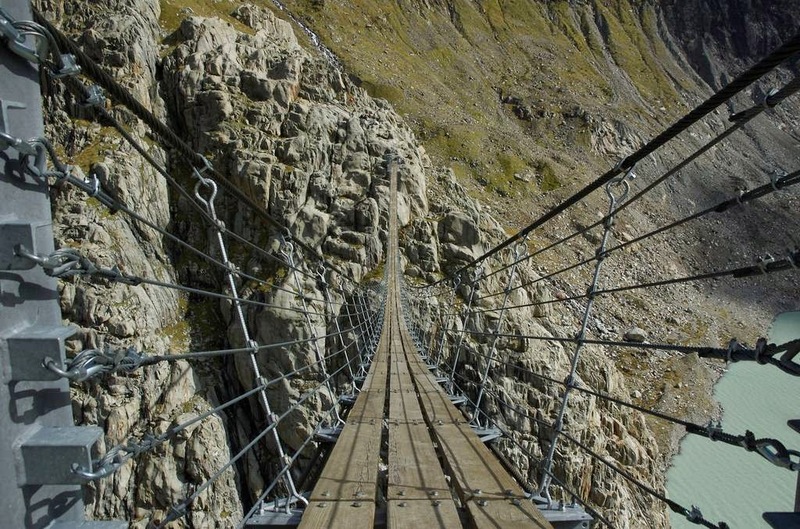 Should – simply conjugating a verb in to the present conditional might not completely allay the fears of those who wish to cross the bridge. However, there have been no accidents connected to the bridge since it opened in 2009. Were Roald Dahl still alive, he might use the Trift Bridge as the inspiration for an unusual but entertaining (for us at least) punishment for lazy, cruel and selfish children. I am sure the two pictured are as good as gold, but surely a recipe (as my grandmother would have put it) for the screaming habdabs? Imagine the therapy bills. 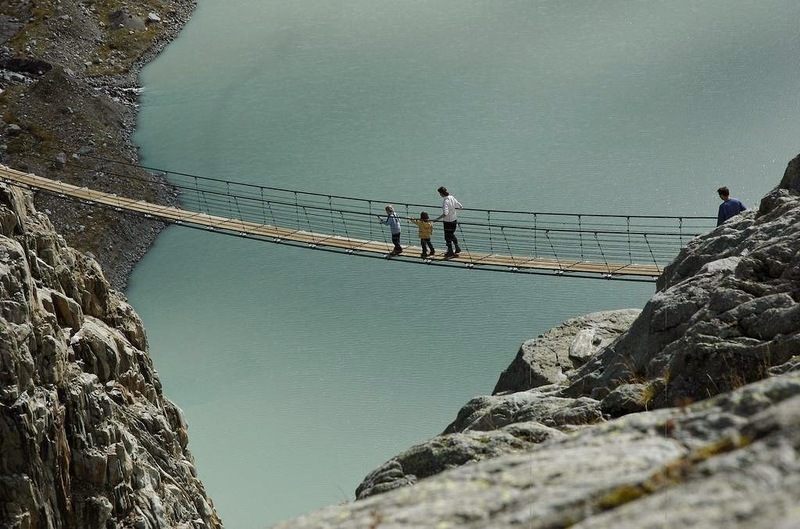 Yet before visitors (adult or child) take their first tremulous steps on to the bridge, they have already had quite a journey. The only way up to the bridge which avoids a two hour walk is by cable car, again made by the company which built the hydroelectric plant. The cable cars are fairly small – they only take eight people at a time but the journey lasts for just ten minutes. A ten minute ride instead of trekking for two hours is a good deal for the 16 Swiss Francs you have to pay to board the cable car. 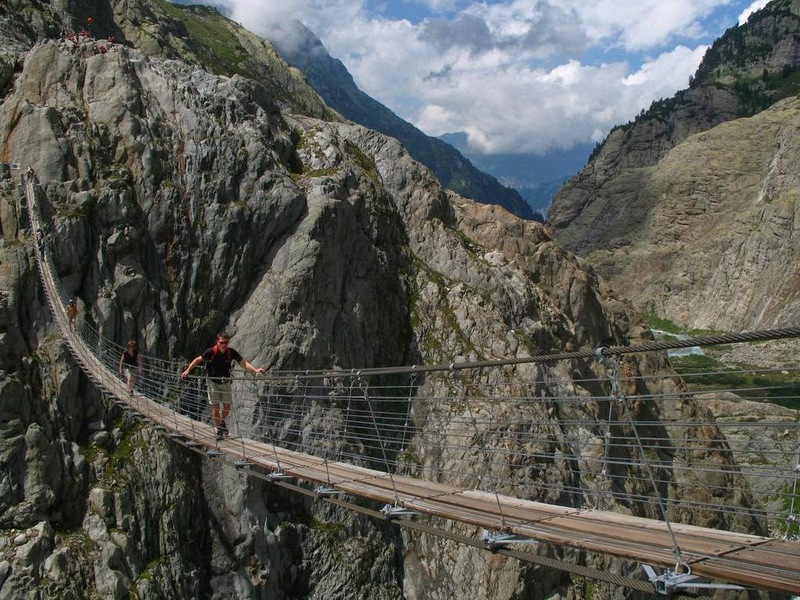 That is because once you alight, there is a further 90 minute walk to reach the bridge. As you might expect, the path to follow mostly goes upward but there are the occasional stone outcrops to navigate. 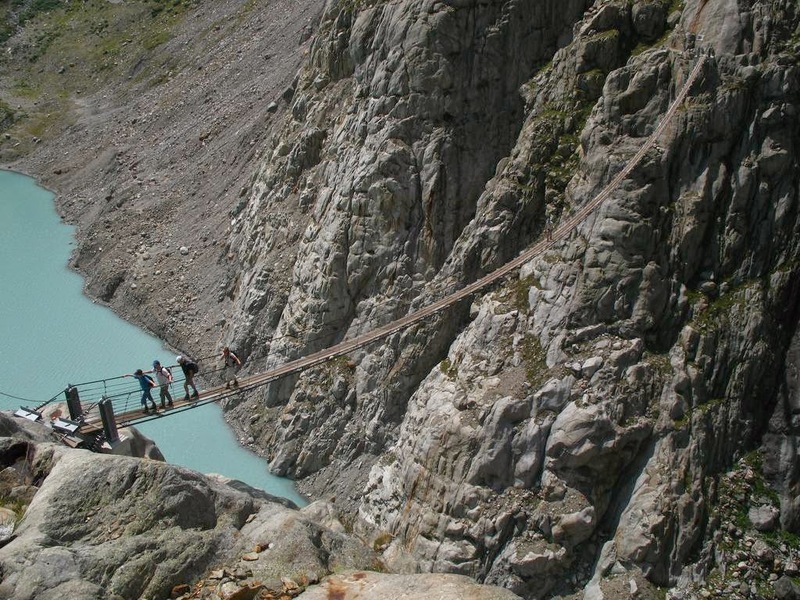 Alpine goats have cottoned on to the trail’s use by up to 20,000 people a year. They can be seen at regular intervals coercing visitors in to parting with anything edible they may have on their persons (but are generally as friendly as any other goats). The trail is only open between June and early October, when the conditions on the mountain decline and ascent is not recommended for anything other than professional reasons.